Family rooms and rec rooms everywhere can easily be improved with this one simple update - new furniture from the Damiano collection. 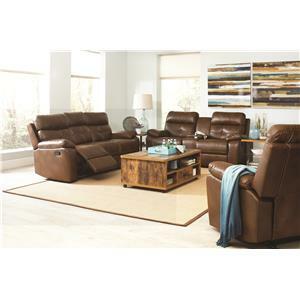 Sink back into the plush back cushions and kick up your feet at the end of the day with this casual and cozy group. 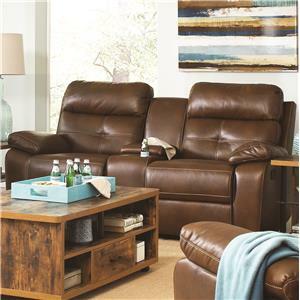 Damiano features plush headrests and a subtly modern touch of contrast stitching and button tufting. 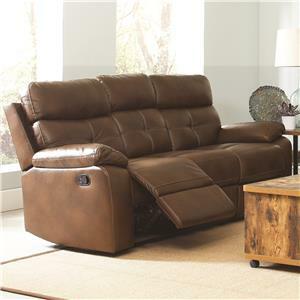 Choose the reclining piece from Damiano that's right for your space, from a reclining sofa, loveseat with storage console, to a reclining chair (not shown). 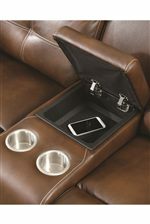 Browse other items in the Damiano collection from Value City Furniture in the New Jersey, NJ, Staten Island, Hoboken area.